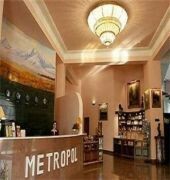 Hotel Metropol, located at the entry of the center of Yerevan, is conveniently situated for main roads and easy ride from the airport. 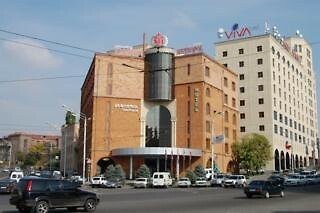 It overlooks beautiful Hrazdan gorge and is just a stroll away from the business, shopping and cultural center of the city. 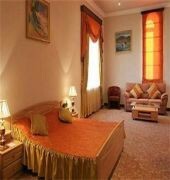 All rooms areuniquely large tastefully decorated and differentlyfurnished. 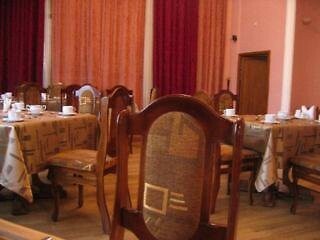 The hotel boasts a 60 seats gourmetrestaurant offering local and international cuisineserved in elegant surroundings. 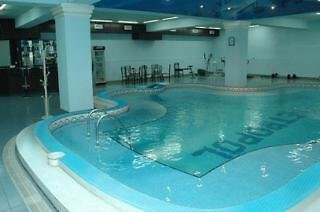 It features free ofcharge start-of-art fitness centre with sauna.